Anywhere between Stuttgart and Frankfurt there is a region that reminds us immediately of the Tuscany. This area is not called the "Swabian Tuscany" by chance. After leaving the highway we took a country road and soon after a few minutes we arrived at our accommodation for the following two days. The Wald- und Schlosshotel Friedrichsruhe, rated as a Five-Star-Superior hotel and member of the Small Luxury Hotels of the World. Check-in was fast and we were also accompanied to our room, which was located in the newest part of the hotel - the Spa Wing (by the way the best place to stay for all style lovers like we are). 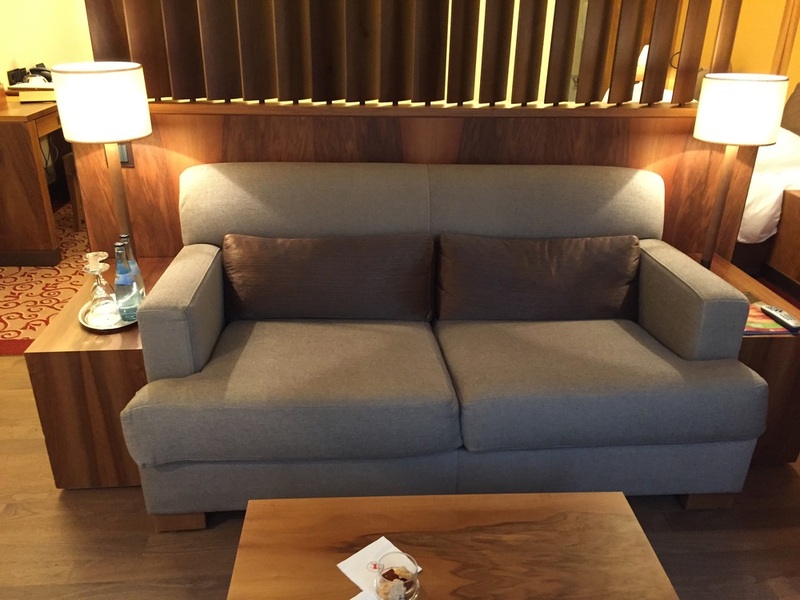 I guess it was an upgrade to a Superior Room, which all are located in the Spa wing and designed in a modern way. In general they have rooms at the Jagdschloss (in an elegant style - perfect for landlords) and at the main building (typical classic german countryside style) as well as in the Torhaus (old British Laura Ashley style - more for nature lovers). Therefore we were very happy with our room and as I love big bathrooms with separated walk-in shower and double vanities, I was overwhelmed. If they would have had bigger toiletries (or not those wine-based products), this could have been a perfect hotel bathroom. Bulgari or Etro would look lovely there as well. Our room was very spacious for a Superior room and I liked the terrace (all rooms beginning with 1). Unfortunately I found the TV not perfectly situated (we did not figure out how to watch TV from bed) and in general the beds could have been a bit softer. Breakfast was wonderful all days and the products were of very good quality, as the service was! The best part of the Wald- und Schlosshotel Friedrichsruhe was its 4.400 square meter spa area spreading over two floors. We truly loved the spacious arrangement of the lounge chairs around the indoor pool, you don't have the feeling that it is crowded at all. My favorite part was the indoor pool with its wonderful stone - when the sunlights were coming through the ceiling windows, it looked like a crystal clear mountain lake. Two doors opened out to the outdoor pool, longer then the indoor pool and slightly colder, but with much more relaxing views over the whole estate and the gardens, which are used as a lounge area during warmer days. Beside the indoor pool there is a wonderful sauna area (textile-free area) with different saunas and steam baths as well as an open air jacuzzi. 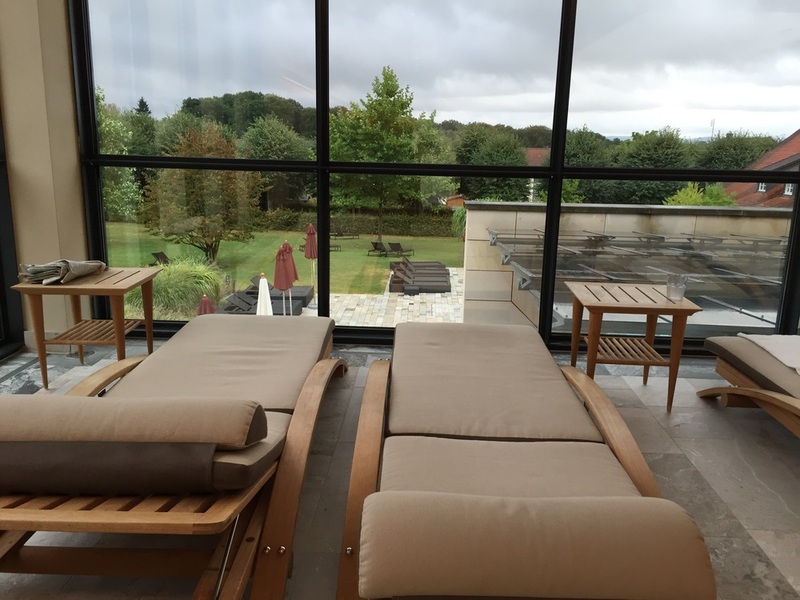 On the second day we booked two full-body massages in "Germany's best hotel spa" according to the Relax Guide - a renowned award in the DACH countries. 50 minutes of pure relaxation, were helping us to forget about the cold weather and our upcoming business meeting in Frankfurt. I had the feeling that the therapist do have an excellent knowledge and perfect feeling of how they have to treat you. The pressure was perfect and I did not have any complications afterwards. Even now I am still relaxed, writing the review about this spa resort. 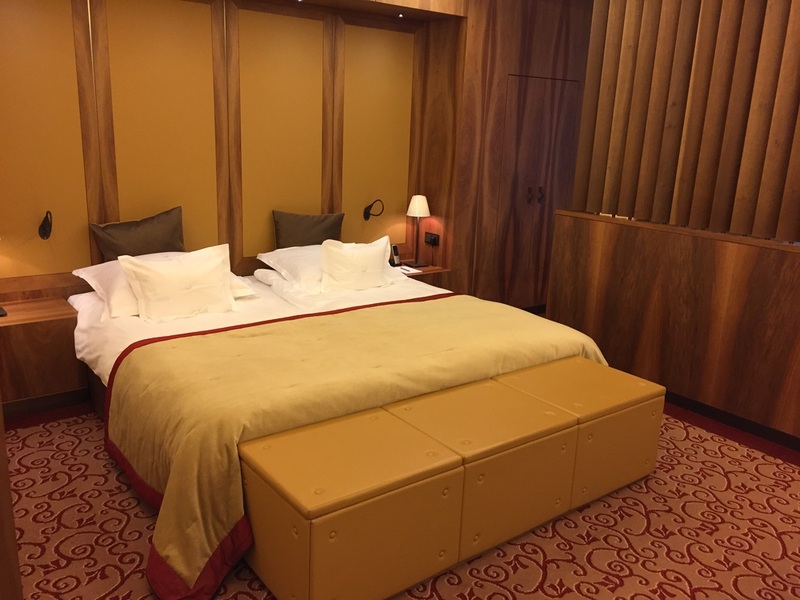 Indeed, the Wald- und Schlosshotel Friedrichsruhe is a perfect place to spend some relaxing holidays after business meetings in Frankfurt or purchasing a car in Stuttgart (home to Mercedes and Porsche). A big plus is that they offer complimentary rental cars by Audi (and not worse cars!!). You just need to bring them fully fueled again and the new vehicles are yours for the day. This is a good idea to have dinner outside the resort, unless you are planning to dine in their upscale michelin-starred Gourmet restaurant (I am not a fan of the Waldschänke)! 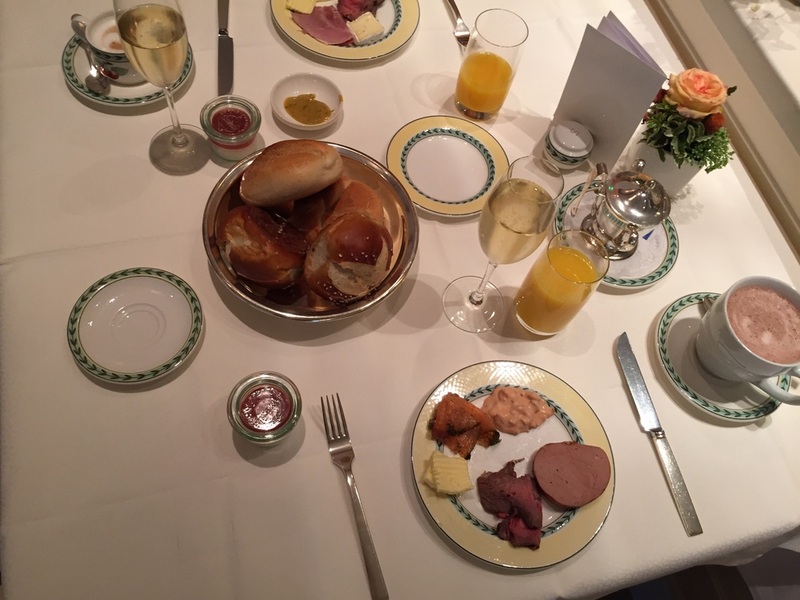 We were guests of the Wald- und Schlosshotel Friedrichsruhe. This review expresses only our personal opinion and has not been influenced.